Today’s freebie highlights the upcoming election. 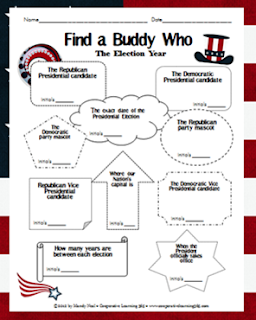 There are those students whether they are in lower elementary, high school, or in between that want to voice their opinion on who should be President. 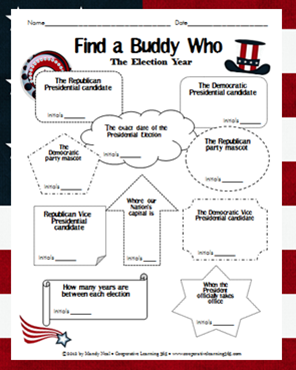 This activity, Find A Buddy Who, simply builds awareness around the election. The best part of this activity, personal opinions are not needed or encouraged at all.